Description: People are not rivals for the mighty dragon, who can mow down anything with the sweep of his tail, or send everything into the air with a flap of his wings. Even the army of the most powerful soldiers could not stop the dragon. However, there was a hero here who was able to complete this task. He became the king of the nation, surrounded by the mountains where the dragon dwelt. Veloudilun was a peaceful country, since the very presence of the dragon stopped other countries from attacking it. The only threat to the country was the dragon itself. 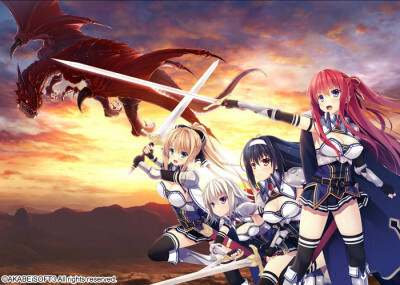 The king created "dragon knights" to fight against the dragon and protect the citizens if he falls into a rage. Even after the king died, they continued to defend the nation. While they could not defeat the dragon, they risked their lives to protect the people. The nation flourished thanks to their actions. Many years later, a young wandering pharmacist named Roy arrived in Veloudilun. At that time, he did not yet know that he would cross paths with the "dragon knights", and how the nation would change when it was threatened by a dragon.